Since I tend to enjoy so much of Jon Favreau’s recent work, I wanted to check out one of his earlier projects. I chose Swingers, a Favreau written comedy in which Favreau plays Mike, a twenty something aspiring actor in Hollywood. Mike is down in the dumps because he left his girlfriend behind in New York. Mike’s friends who are also coping with the mysteries of life and women decide to help him feel less lonely. I know that Swingers isn’t exactly a terrible movie. Granted it’s definitely a film guys will likely enjoy more than ladies. Still, the best I can say is that there was a slight Superbad (2007) vibe – if Superbad was set several years post high school. It’s of course not lost on me the idea that Swingers probably inspired Superbad, That still doesn’t mean that I have to like it now; does it? Have you seen Swingers? Is there something great that I missed to recognise about this movie? Share your thoughts in the comments below. Many people probably love Jon Favreau because of what he’s done with Iron Man. But my appreciation of the actor/ writer/ director/ producer, etc. first began when he played Monica’s billionaire Ultimate Fighting Champion boyfriend in Friends. Then I saw him as an a**hole husband in one of my favourite comedies, I Love You, Man (2009). As great as his work was in both those roles, I didn’t really ‘fall deeply in love’ with Favreau’s talents until a ‘little’ foodie movie that he wrote, produced, directed and starred in called Chef (2014). As you may be aware, I’ve reached a reasonable level of fatigue where superhero movies are concerned. Therefore I haven’t really been keeping up with Favreau’s work in the genre, though I did watch the first Ironman movie and maybe the second. Nevertheless, Favreau was a big part of the reason I was excited to watch the live-action version of The Jungle Book (2016). If you’ve seen it, you know how well the movie turned out. There’s just so much to love. For example, Idris Elba’s excellent voice work in his role as Shere Khan, how generally well thought out the movie is, the beautiful special effects and the fact that before this movie, I hadn’t ever thought about how animals perceive fire. Whether you’re familiar with The Jungle Book story, a fan of Favreau’s other work or not, watch this movie because it’s good. It’s good, I tell you! Silly, with several funny and moving moments, plus all the right messages for the christmas season is just one way to describe Elf, starring Will Ferrell in the title role. Directed by Jon Favreau, I’ve heard many people refer to Elf as their favourite Christmas movie. I can’t say it’s mine but Ferrell does a positively memorable job with his character. If you weren’t already a fan of Ferrell, it’s quite likely that after the movie, you’ll recognise and applaud his capabilities. Just make sure you’re in the mood for some silly. Zooey Dechanel’s beautiful singing voice and the characters played by Faison Love and Peter Dinklage are a few of my favourite things about the movie. Watch it for a reminder of why so many people can’t help but look forward to Will Ferrell in comedy roles. Daddy’s Home (2015) is Ferrell’s latest comedy which will be here just in time for Christmas 2015. I recall the story somewhat vaguely and I do like the cast. Idris Elba, Neel Sethi, Scarlett Johansson, Ben Kingsley, Lupita Nyong’o and Christopher Walken make the cast of this Jon Favreau directed version. 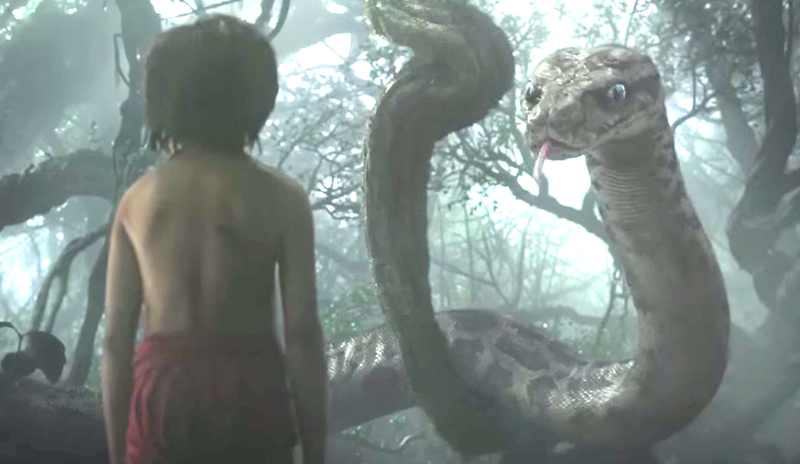 Having just seen the above trailer I’m curious to find out whether I’ll warm to Scarlett Johanson’s Kaa voice. Not quite sure at this point. I’m most ready for Bill Murray’s Baloo voice. 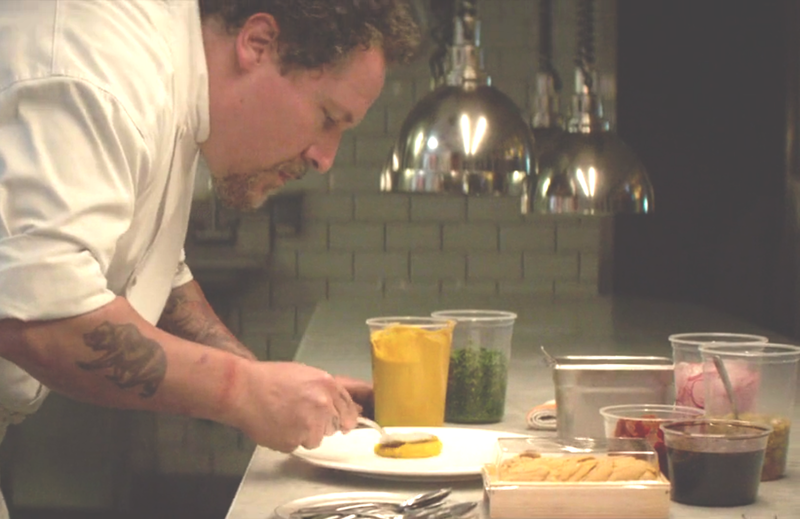 Jon Favreau’s Chef is a comedy film with great music and mouthwatering food that makes you wish you had immediate access to all the bites featured. More than a feast for your stomach and then some, it’s a beautifully told story about family – particularly the relationship between a busy father and his ten year-old son. The film also speaks to the sensibilities of those stuck in a career path that no longer supports their need for creative freedom and / or desire to serve their passions in a way that makes them happy. There are one or two more themes that emerge from the narrative thread. I’ll let you discover those beautiful gems for yourself. Maybe they’ll speak to you more than the ones that stood out for me. Either way you’re likely to be hooked as soon as the film starts.